A chance encounter with photographs of what remains of the first car designed by Ferdinand Porsche (1875–1951) back in 1898 intrigued the management of Whittlecreek and Eaton St Torpid Heritage Railway. Anticipating trends of over a century later, it was electric. 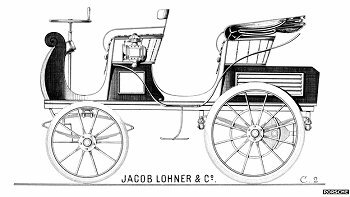 Strictly it is known as the Lohner-Porsche Electromobile – Jacob Lohner employed Porsche to develop the drivetrain. First prototypes were two-wheel drive, battery-powered electric vehicles with two front-wheel hub-mounted motors. A later version was a series hybrid using hub-mounted electric motors in each wheel, powered by batteries and a gasoline-engine generator. When the car was presented at the World Fair in Paris in 1900 the wheel hub engines brought Ferdinand Porsche international attention. The same year he developed an all-wheel-drive racecar, as well as a hybrid petrol/electric vehicle – a world first. 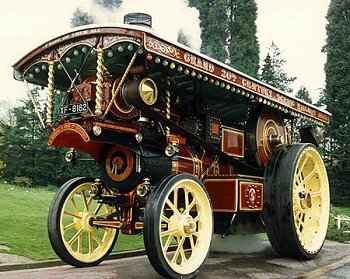 Which put the management in mind of the generators bolted to the smokeboxes of 'showman's' traction engines. As the Whittlecreek and Eaton St Torpid Heritage Railway is unlikely to afford a working showman's engine then a bit of 'substitution' is called for. 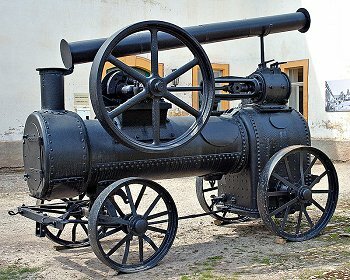 How about the main parts of a 'portable engine' – but not the wheels – with a generator bolted on? 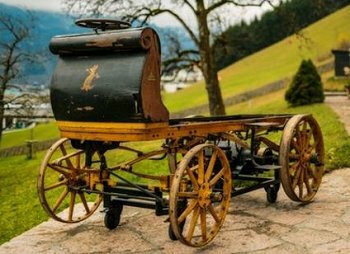 If that was secured to a trailer then a replica of the 'first Porsche' could still be electric powered without worrying about battery capacity. Well, if there are diesel-electric locos then a heritage railway with ambitions to be the quirkiest railway in the world should pioneer the revival of steam-electric motive power (first pioneered in the 1890s by Jean Jacques Heilmann). Yes there are easier options – and Porches' own hybrid petrol/electric vehicle would be one of them. But where's the fun in that? Fairly obviously this will be a scratchbuilt project. And the first time the Jackdaw Works has taken on the fiddly bits of getting the gears between the motor and axle to work correctly. 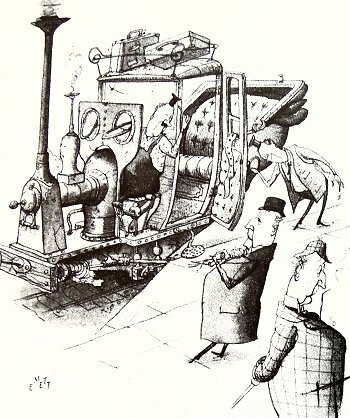 And then there is the need to make the steam-powered generator appear to work… The reality is that the 'generator' will be a small motor, driving the flywheel and thence the piston and linkages. Lots of fiddly bits to get wrong right. Expected completion of the steam-electric replica of the first Porsche is sometime in the indefinite future. Maybe. 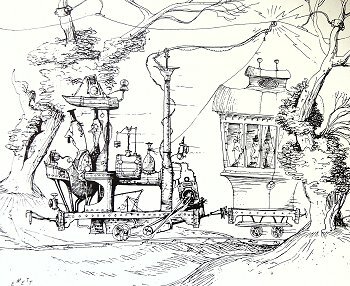 This Emett illustration of a steam-powered 'Landau' is also relevant.